Healthy Christmas Snack – Christmas Tree Treats for Kids! If you’re looking for a healthy snack to keep the kiddos occupied before the main meal on Christmas Eve or Christmas Day, this is a fun one to have at their place setting to eat until dinner is ready! 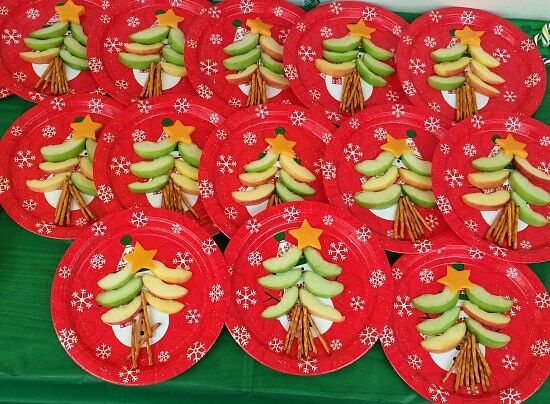 I co-hosted a Christmas Kindergarten party with another mom last Friday & she made these cute little healthy Christmas trees for all the kids in class. I then thought it was the perfect treat so I had these at the place settings for the kids table at our family Christmas gathering I hosted last weekend. Kids are always hungry, so this was a nice way to tide them over until we were ready to eat & most likely you will have the ingredients on hand or can pick up them easily! 2. Place apple slices in the center with sides touching & skins on the bottom, fanning out to form the tree branches. We just did 6 total apple slices – 3 on each side. But you could make the tree as big as you want. 4. Use a star cookie cutter to cut out the star shape out of cheddar cheese. (You’ll want to make sure you make this thick enough so it doesn’t fall apart). You could also use a snowflake cutter if you don’t have a star (like the example at the top of the page). Or just cut two triangles out of cheese & layer them to form a star. 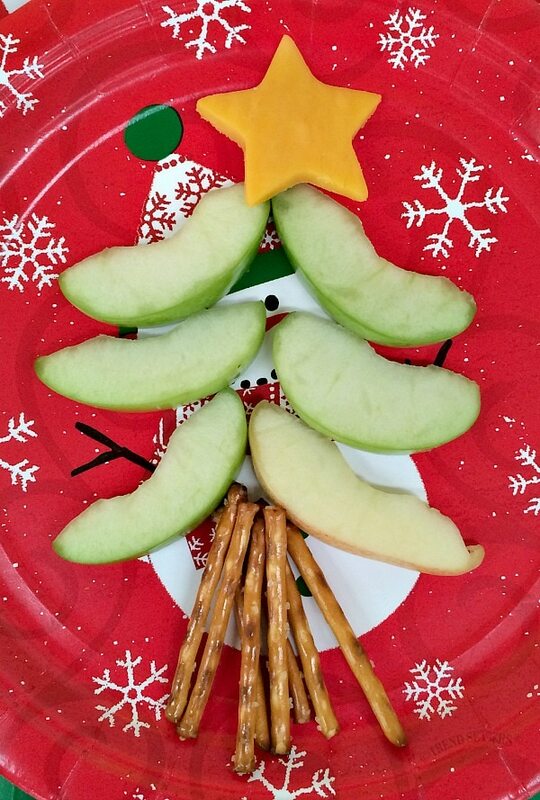 Such a simple and healthy treat, but the kids at both parties loved these Christmas Tree Healthy Treats! 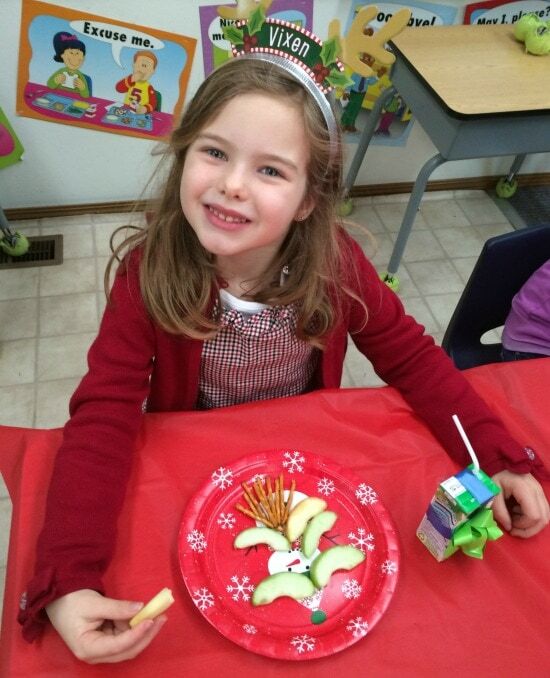 Let them snack without ruining their lunch or dinner & enjoying a fun, little Christmas-themed treat! What are your favorite Christmas treats for the kids?